@edible Arrangements Makes a Delicious & Special Gift this Valentine's Day! You know what I really wanted this Valentine's Day?? I just love how not only are these bouquets beautiful but they are DELICIOUS and healthy! 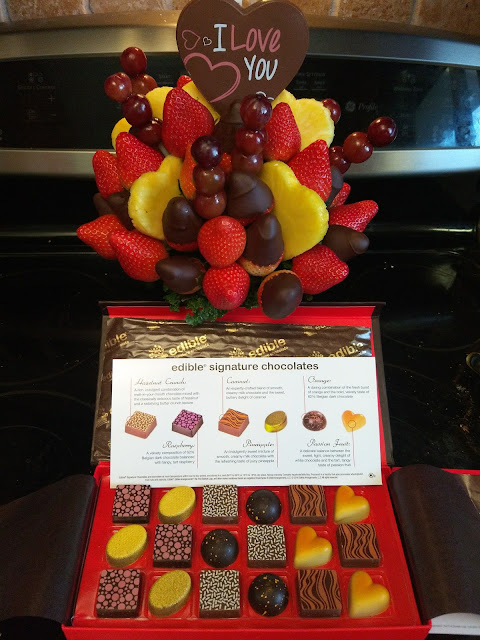 They have the perfect mix of chocolate and fruit and I just love how unique and special the gift is - they won't die being displayed on the table like flower bouquets and you can eat them! How great is that??!! I am especially loving the special Valentine’s Day Valentine’s Day Bouquet that I received! It is so awesome that they can make this bouquet so beautiful and all edible! The chocolate heart with "I Love You" really adds that extra special touch too! 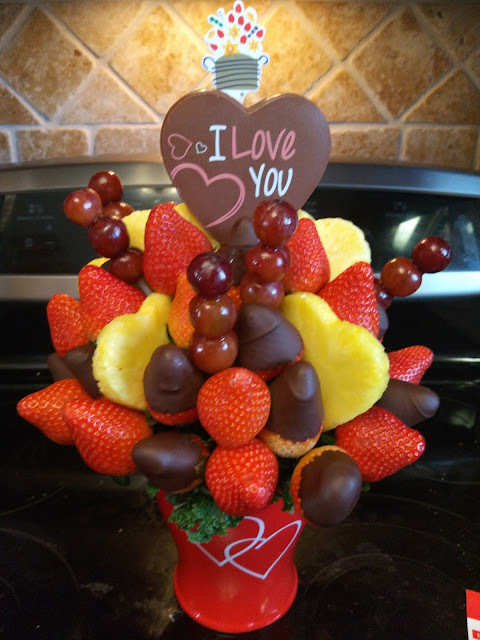 Hand-crafted with fresh strawberries, gourmet semisweet chocolate dipped strawberries, grapes, and our signature pineapple heart slices, this delicious arrangement is a sweet way to share the love. Whether you’re sending it from afar or sharing it after a romantic dinner, this irresistible treat will satisfy their sweet tooth and put a smile on their face! The minute my children saw the Edible Arrangements bouquet, their eyes got really wide and I seriously think they started drooling! I was glad to share because the fruit is delicious and healthy for them at the same time! What a fun Valentinen's Day gift for the whole family!! Delicious decadence meets expert craftsmanship in this Edible® Signature Chocolate Box. Featuring recipes designed with master chocolatier Jacques Torres, these melt-in-your-mouth chocolates combine smooth, hand-crafted gourmet chocolate with premium, natural ingredients in 6 rich, indulgent, and deliciously bold flavors: hazelnut crunch, caramel, raspberry, orange, pineapple, and passion fruit. Packaged in an 18-piece box, these irresistible treats are the perfect way to celebrate! 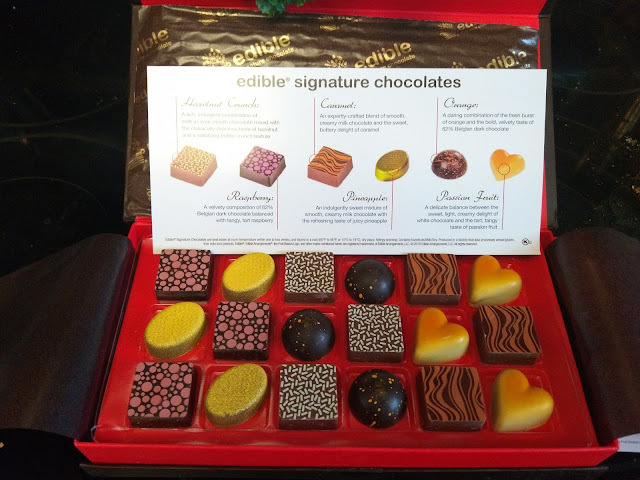 The chocolates in this collection were so unique, beautiful and, best of all, delicious! I was really spoiled this Valentine's Day thanks to Edible Arrangements! 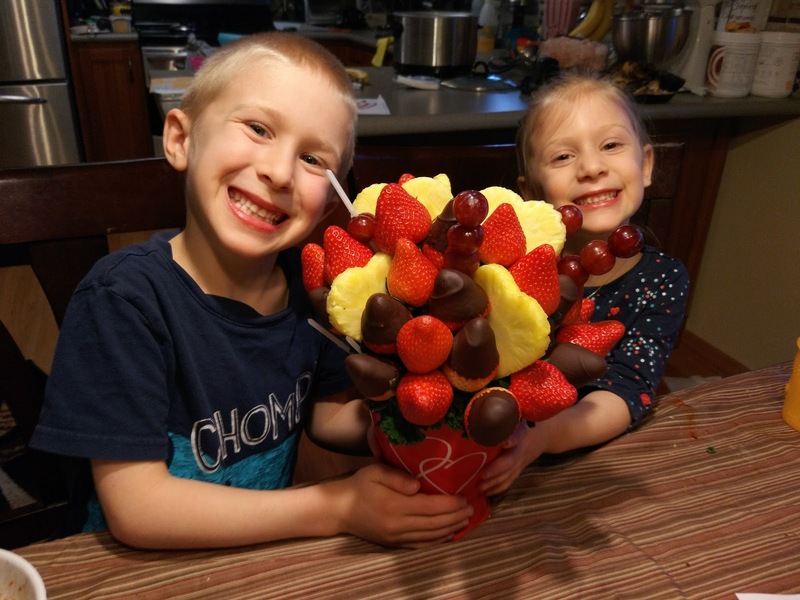 Their fruit bouquets are truly one of my favorite gift ideas and I highly recommend! 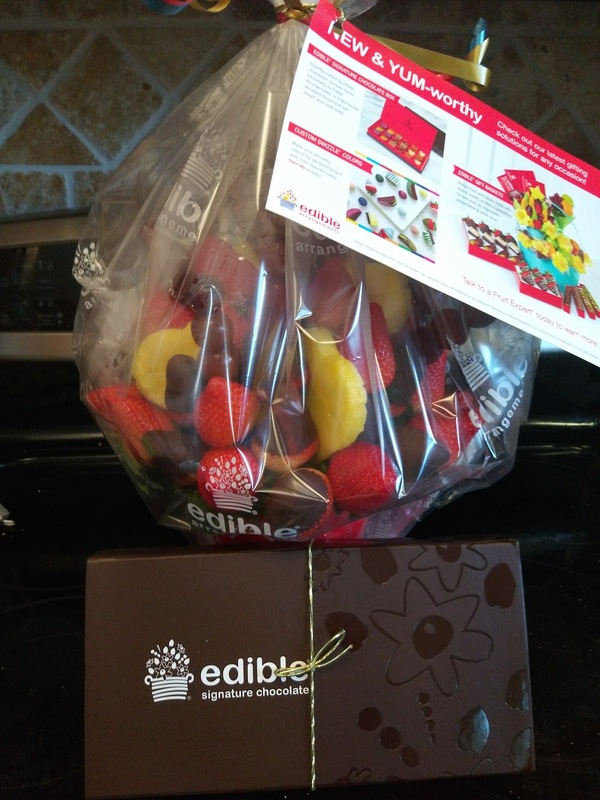 You can purchase all Edible Arrangements bouquets and chocolates from their website.